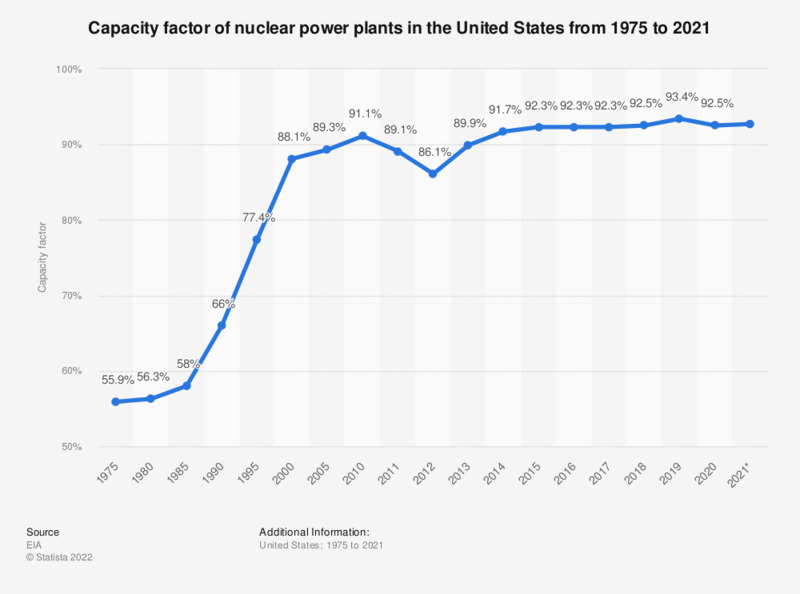 This statistic represents the capacity factor of nuclear power plants in the United States between 1975 and 2017. In 2017, the capacity factor of U.S. nuclear power plants stood at around 92.2 percent. * According to the EIA, the Generator Capacity Factor is the ratio of the electric energy produced by a generating unit for a given period of time to the electric energy that could have been produced at continuous full-power operation during the same period. ** This figure is an estimate. What is needed from manufacturers in order to order directly from them?